Several electoral districts across the Bay – such as San Mateo’s 5th and Alameda’s 2nd Supervisory Districts – have sizable populations of Filipino registered voters of 5% or greater. Local elections and measures are decided by very small margins and Filipinos can be the deciding factor in these districts and districts across the Bay. 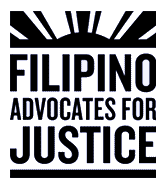 Approximately 50% of Filipinos capable of voting in the Bay are not registered to vote. Only two counties – San Francisco and King’s Counties – are over 50%. The data shows that in the 14 counties where the information was available, the majority of Filipino registered voters are naturalized citizens. Immigrant communities are invested in the electoral process and are using their right to vote. Data gathering made possible by a grant from Wells Fargo Bank.